We’ve been awake now for 48 hours, or something like that, frankly I’m too tired to do the maths and the time zone confuses me. 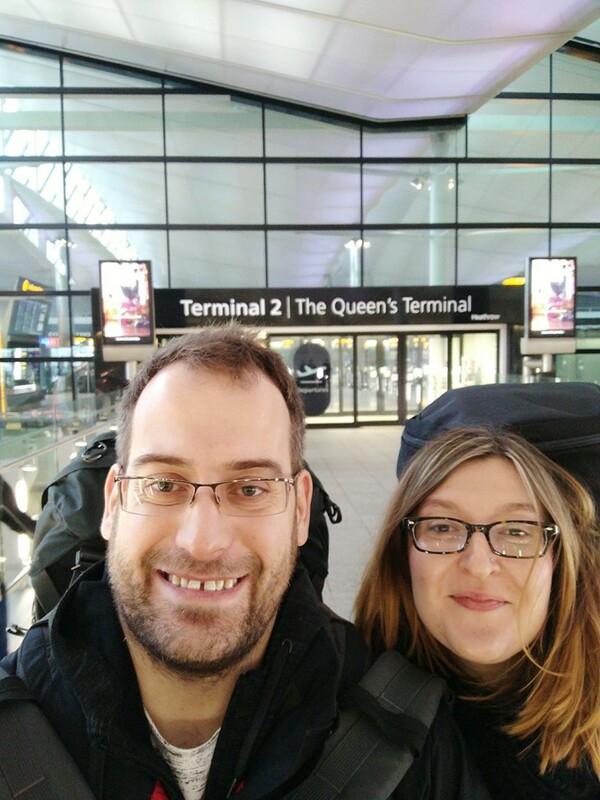 Finally, after months of packing away our lives and sorting out Jo’s citizenship we got to Heathrow airport and happily go to drop off our bags. So we divert to the Costa and hop on the Internet to find the cheapest onwards ticket to Cambodia – we don’t have exact plans to move on to Cambodia so it’s just a burner ticket while we figure this out – we have a plane to catch. A flood of helpful messages come in from our friends on Facebook on how to solve the problem and in a few minutes, we re-approach the check-in desk with ticket in hand. 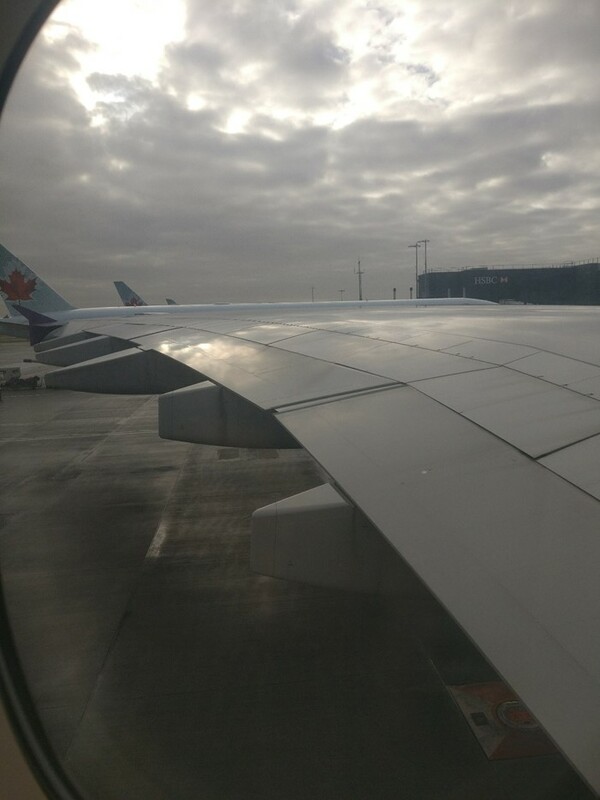 Biggest wing in the (commercial) world. Jo is excited because we are going to Bangkok, I’m excited because we are flying in an A380 Airbus, the largest commercial airliner in the world. You know what? Totally worth it, the 12 hour flight seemed more like 6, even with the annoying brat kicking all 3 chairs in our row somehow. I mean, he’s 3ft tall, how does he even reach all 3? Anyways, a few hours later and we have landed in Bangkok Airport, time: 6am. We cautiously approach the customs line, trying to act cool and succeeding to look like we are fleeing from justice. We approach the nice border control guard. I’m tempted to hedge my bets, shout ‘She’s Polish!’ and jump behind the nearest barrier. Two loud bangs of the visa stamp and we are through – didn’t even ask us where we were going next. Thanks for the heart attack Thai Airways. That drama out of the way, we collect our rucksacks and wearily climb into a brightly coloured taxi to get to our hotel. Yes, we could have got there for cheaper, but the excuse to get 20 minutes sleep in Bangkok traffic was fantastic. Previous Post:Being an expat in Wrocław, Poland.